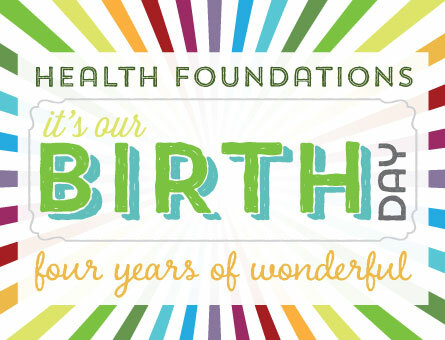 Happy 4th BIRTHday Health Foundations Birth Center! In February, Health Foundations Family Health & Birth Center is celebrating its 4th BIRTHday! Thank you to all of the wonderful families we have had the privilege of helping! Over the past four years, we have been able to help over 400 women and families! Not only have we been able to help give families individualized birth experiences, we have grown to offer various wellness services, classes & support groups. We’ve also started a lactation center and a breastmilk donor program! Share YOUR BIRTHday images and stories! The story of your journey and BIRTHdays make our BIRTHday possible! Stop by the Birth Center on February 14th from 10-11am and enjoy a piece of BIRTHday cake and say hi! We will also have fun materials to make Valentines!